The old adage is that all politics is local - and these days, you can argue that much of online search is too. With the perfect storm of social media proliferation combined with the exponential rise in mobile smartphones and growth of location-based tools like Google Maps, local search is something that your business can't afford to overlook. Google estimates that up to 40% of all search queries have local intent, and comScore estimates that 66% of Americans use local search to find local businesses. Whether you're a chiropractor in Poughkeepsie or Nike retailer in Los Angeles, local search is a critical tool for generating new business and growing online exposure. Local placement optimization an investment in time and resources, but the results can be dramatic when implemented effectively. One of the most important components is making sure that you've claimed your listing on the major engines, like Google Places, Bing Local, and Yahoo Local. These listings can be optimized with video, photos, store hours, and special products or promotions. Other important local search data providers include infoUSA, Localeze, InsiderPages, and Superpages.com. 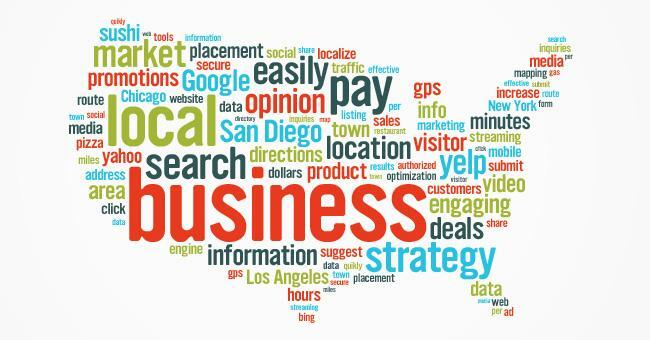 Local search placement involves much more than claiming your business listing on search engines and local directories. On-page local optimization strategies include providing engaging content that refers directly to your local markets, including city or town-based modifiers like "chicago drycleaning". It's also important to utilize these local-based keywords in the meta tags, alt tags, and incoming links. PPC (pay-per-click or paid search) is also a highly effective way to direct local searchers to your business. By using the geo-targeting feature and bidding specifically on location-based terms, you can make sure that a searcher finds your business quickly and easily - instead of your competitor's.